So, how many microgames did you pack into this game? We managed to include over 200 types in the end. You were faced with a mammoth task having to come up with such a large number of individual games. Was there no risk of repetition, or the games becoming formulaic? Actually, there was. As the games were being put together, there were times when we’d notice that some of them had near identical gameplay. We tried our best to alter the way they were played, but found that making them too different just made the player confused as to what to do next. Finding a perfect balance in the gameplay was difficult. When we reached the stage where we needed to select around two hundred microgames from the total number which exceeded a thousand, we looked for a good balance, with enough variation to keep the necessary level of excitement. So, a thousand different ideas means you had to produce storyboards for every single one? How many people did it take to do that? Let me see... Well, there were twenty members of staff, maybe more. If we're talking about storyboards, I think there were quite a few other people who contributed to those. That’s one of the unique things about the WarioWare team: if anyone comes up with an idea, they are allowed to produce storyboards for it. With a normal game’s development, usually the person in charge of planning comes up with the ideas and has them implemented into the game. With WarioWare however, any member of the development team with a good idea is free to give their input. Right. That’s the great thing about the WarioWare games, there’s no great need for coherence or logic, so if we just have that seed of a fun idea, that is enough. If it’s suitably amusing, we use it. Some people take the time to make up detailed storyboards, others tend to just scribble them down on big post-it notes and stick them up on the wall. That’s the WarioWare team’s unique way of communicating then. I’ve seen the place you mentioned with all the ideas stuck on the wall. That’s right. It's not unheard of for non-WarioWare team members to walk through and stick their ideas up on the wall too! They do! (laughs) And then the programmers will come along, peel off ones that look easy to make and begin working on making them into a game. That freeform style is really impressive! (laughs) So, could you give me an example of some of the content of those storyboards? Well, let's take the microgame that involves shoving a finger into your nose, the plan merely consisted of a picture of a nose with a finger next to it and a single word: "Pick!" Generally speaking though, that’s what it’s like. The amusing part about doing things this way is that you sometimes get three people, working in totally different places, coming up with the same ideas! That really happens, does it? Interesting. When you have over a thousand microgames being planned, it is amusing to see that happen. When Touched! and Twisted! were being developed, an idea for the same microgame cropped up in both games completely by coincidence. We couldn't! But that's because it was technologically impossible. Yes. And because the required technology has since been invented, we’re now able to roll up the toilet paper as we always wanted! Finally we managed to do it! Actually, the WarioWare games in their entirety aren’t in the least to be considered lightweight.If you think about the amount of the player's time they demand you could argue they are, but from a development point of view, definitely not. The teams that develop these titles are actually quite large. Unlike large-scale projects such as Zelda, the management of the WarioWare series is different and can be split up into small pieces with each microgame created separately. 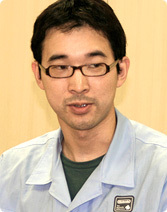 Sakamoto-san, you tied the overall project together and ensured that the individual strengths of each developer were brought out. It looked to me as if you really encouraged the development staff to run free with their creativity. Would that be a fair assessment? Yes, I think so. I really think things work better without having to force a kind of uniformity on everything. I told everyone that they were basically free to come up with what they want, as long as it was fun. This meant that, for instance, if programmers casually sketched a graphic idea and it really seemed to have something, we could simply use it as it was. As we put the game together, the only condition we insisted on was that it must have that shared fun factor. Happily, the WarioWare series is perfectly suited to this approach. I think that through the development of this game, everyone has been able to show more and more of their true character and individuality, and that it has been a great experience for all of us. But surely you must have struggled with problems that arose as a result of allowing the staff that kind of freedom? Weren't there any particular problems you had to overcome? Or perhaps someone came up with a microgame that suddenly showed you a new overall direction you should pursue? Was there anything like that? You mean to say you didn’t struggle with anything at all? It’s difficult when I’m put on the spot like this. Well, thinking about it now, something that did present a challenge was the decision that a single Wii Remote would be used as the controller throughout the game. 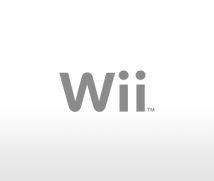 I thought that as Wii comes packaged with both the Remote and Nunchuk, when two people were playing, I assumed that the Nunchuk would be used by the second player. And the decision was made that we'd only be using one. And what were the reasons for that? Everyone can have fun with just one controller! We have made use of the Nunchuk during certain sections in the game though, but for the most part the Wii Remote, or Form Baton, takes centre stage and is used nearly all of the time. At the risk of answering my own question, perhaps you were able to make that decision because you were confident that the people watching the game, who aren't holding a Wii Remote, would still be able to have a great time just by being observers? But seriously, making sure the person watching was having fun was something we always had at the forefront of our minds during development. I think it’s a lot like in the days of the Nintendo Entertainment System, when the people watching enjoyed the games too. If the person holding the controller didn’t know how to get past a certain stage in the game, the other person would say something like: “Not like that! Let me show you!” and even if they didn’t know what to do either, everyone was able to enjoy the experience equally. In my opinion, sharing the fun was a very valuable part of the experience. Precisely. I feel that games these days seem to have overlooked this aspect of playing. So in other words, making the games enjoyable for those watching presented you with various problems which you had to struggle with! That's the "struggle" taken care of! (laughs) Let’s just say you’ve made every effort to ensure that those watching can have just as much fun as the people playing. For instance, before each new form, slightly unusual, non-native Japanese has been used for giving the instructions. Yes, a Canadian kindly provided us with the voice. Really? How come you got a Canadian to do it? At that exact moment, a member of staff from Canada just happened to pass by the window. As I glimpsed him walking past, I thought: “I wonder if he'd lend us his voice?” and it all started from there. I wasn’t sure he’d be willing to help when I asked, but to my surprise he said yes. On top of that, his voice turned out to be just what we were looking for. It was really good, better than we could’ve hoped for! So what was he doing prior to this? He was working in the planning department and was producing some of the artwork. It must’ve been quite a surprise. Well, he certainly made a valuable contribution to the team in providing the game's narration. Yes, I suppose he did. Especially for someone who just happened to pass by the window at the right time.